• 2014 New Faces of Civil Engineering (Announced November 2013): Recognized as New Face of Civil Engineering – Professional Edition for 2014 for achievements and contributions to and impact on society. • 2012 Pathfinders Award of Excellence, Community Service (March 2012): HDR Recognition for Community Involvement. • 2011 Pathfinders Award of Excellence, Transportation YPEG Officers Team Award (March 2011): HDR Recognition for the establishment of a Young Professional Engineers Group to promote the success of Young Engineers within the organization. • 2010 Pathfinders Award of Excellence, I-15 Corridor Improvement Project Team Award (March 2010): HDR Recognition for the involvement on a critical transportation infrastructure project within Southern California. One of Ravi’s most notable impacts on a project is from his contribution and involvement in an interchange improvement project for the Port of Los Angeles. “Ravi Shah started working on the Port of Los Angeles’ C Street/I-110 project right out of college. We have seen him grow professionally from Engineer in Training to Professional Engineer as the project progressed. He has proven to be an asset to this project with his hard work, knowledge, and his relentless dedication.” said Mimi Guitierrez from the Port of Los Angeles. Ravi led the development of the $28 million project from Preliminary Engineering through Final Engineering phases over the last several years. The project is a complex interchange improvement project for the Port of Los Angeles which provides improvements to the transportation infrastructure to increase efficiency and maintain a competitive advantage over other Western and Eastern Ports. Ravi began on the project as a Design Engineer, continuously seeking additional responsibility. He grew into the role serving as the Civil Task Lead and now as an Assistant Project Manager for HDR in five short years. The interchange improvement project begins construction early 2014, and Shah will be working closely with the client during construction. Ravi was responsible for the development of the Storm Water Data Report as required by Caltrans, which included the determination of Temporary Construction BMP’s, Temporary Water Pollution Control Plans, placement of permanent BMPs and coordination with public agencies for the final approval of the report and plans. The project consisted of final design services for 2.5 miles of mainline and ramp improvements for an estimate construction cost of $82.5 million. Ravi was responsible for contacting, coordinating, mapping, identifying and proposing solutions for utility conflicts for 6.3 miles of track, including nine at-grade crossings and two stations. He worked with the design team and utility companies to identify high risk utilities such as high pressure gas, fiber optic, etc. within the project limits and propose design solutions during the preliminary engineering phase in order to minimize impacts for this $30 million dollar project. As a Design Engineer, Ravi was responsible for the final design documents for the design of two grade separated roadways in the City of San Gabriel, including quantity take-offs and final cost estimates. The $500 million dollar project consisted of a two-mile rail trench through the City of san Gabriel including rail design, grade separated roadways, structures and trench approaches. I wish that I could share with everyone the numerous impressive experiences that I have seen from Ravi over the years. Ravi may have been born to be a leader, but whatever natural talents he has are overshadowed by his hard work and dedication for improvement. 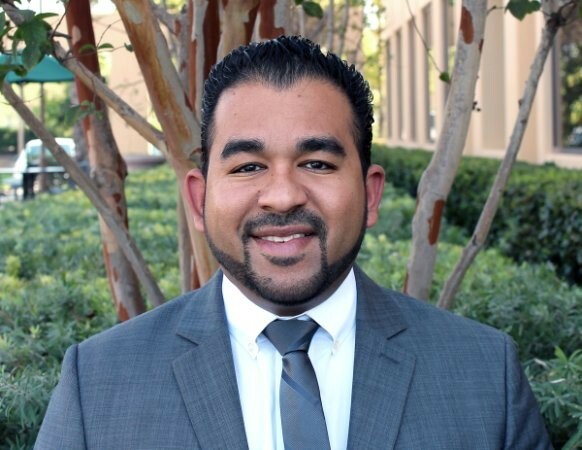 One of the best examples of his leadership is within the ASCE OC YMF. While Ravi was VP he already had plans of how to make changes to increase the growth of the group. He served as President in the 2012-2013 Fiscal Year which was both the ASCE LA Section Centennial and ASCE OC Branch 60th Anniversary. Under Ravi’s leadership as president ASCE OC YMF has grown substantially. The diversity of events has improved, the number of events nearly tripled, attendance has risen, and new leaders are being inspired to join and grow with us. OC YMF held or participated in 95 events. Ravi played a key-role in development and oversight of all the planning which went into all of them. With all the changes he made you might think being President was his full time job. However, while he was president he was also Assistant Project Manager at HDR and held an integral role for the Port of LA C-Street improvement project. If you found Ravi working late at the office, which was quite common, he was there for 1 of 2 reasons, ASCE or his HDR projects. The 19th Annual Popsicle Stick Bridge Competition; Ravi was a key player in the planning of this large event. The competition was host to over 300 students, teachers, and volunteers with 50 teams from 33 different high schools. Ravi also played a major planning role in the OC Branch 60th Anniversary Historic Civil Engineering Landmark Tour. 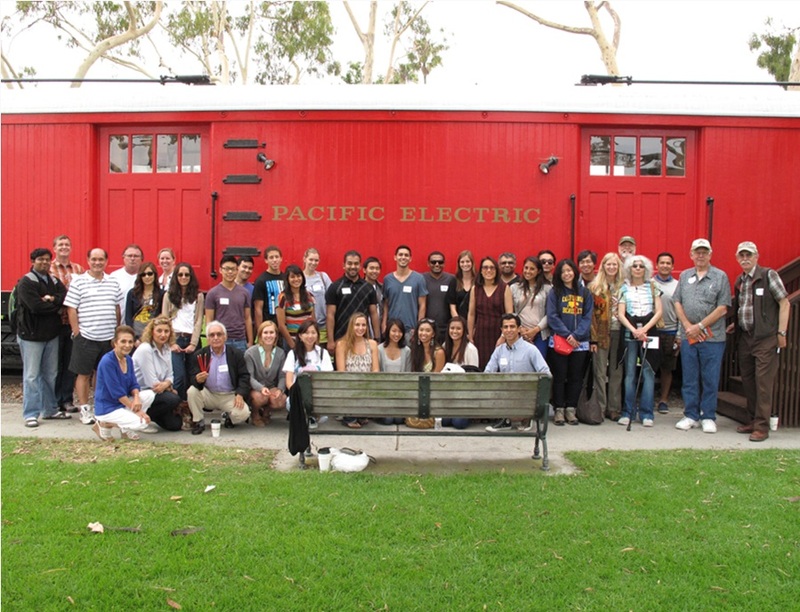 The event had 42 attendees comprised of students, professionals, and guests which got to see 5 of OC’s 12 Historical Civil Engineering Landmarks. Ravi was responsible for several aspects of the event such as marketing, food, and logistics of the event. One of the most successful and notable community service events was a house build in Tecate, Mexico. The house build took place in May 2013; OC YMF successfully recruited 12 volunteers within the ASCE organization. Ravi was responsible for the initial coordination with his Community Service Chairs and the San Juan Rotary Club who ultimately helped sponsor the cost of the event. One of the most successful University Outreach events was held on Saturday, February 9th, 2013. It was the ASCE OC YMF Resume, Cover Letter and Interviewing Workshop for the three Universities within the OC Branch. After presentations, the students were provided the opportunity to receive one-on-one personalized feedback on their resumes based on their discipline or area of interest. As President, Ravi was responsible for driving the organization of this event and participating as a reviewer and mock-interviewer. The most notable Programs event was the Legal Side of Engineering. As President, Ravi made the connection with the lawyers through an ASCE technical tour hosted by YMF. He encouraged the Programs Chairs to set up a Professional Development Presentation. Ravi also attended the event and encouraged the chairs to write an article for the event which was featured on the front page of the ASCE national website the week of September 9th, 2013. As a result of his involvement within ASCE, Ravi was selected in 2013 to represent ASCE as one of eight selected to attend the Emerging Leaders Alliance conference in Reston,VA during November 2013. There he learned invaluable leadership training which he was able to bring back to both the workplace and his local ASCE chapters. Currently Mr. Shah serves as the Past President to ASCE OC YMF group and as the voice for six younger member groups within the Los Angeles Section as the LA Section YMF Liaison. Vice President (2011-2012 FY): During Ravi’s term as Vice President he began preparing for his year by taking a much more active role than has previously been common. He worked with his future Vice President to start laying the foundation for his term as President, as evidenced by the success of the group. Co-Activities Chair (2010-2011 FY): Ravi was responsible for several Activities during his term as Activities Chair. This included Social Events, Annual Mammoth Trip and Joint Activities with Los Angeles Section YMF’s. Ravi’s commitment to recognition of his colleagues does not stop at ASCE. Ravi has been on the HDR Pathfinder Awards committee since 2010 where he has been a strong proponent of recognizing his co-workers for their achievements in and out of the office. Ravi was also an active committee member of WTS-OC between 2010 and 2012 where he worked with the Membership Chair to identify opportunities to increase membership. This included identifying and contacting members whose membership had lapsed, hosting events geared towards increasing membership and creating mailers to contact the WTS membership base. Ravi was also a Co-Founder and officer in the HDR Young Professional Engineers Group (YPEG) in Irvine from 2008-2011. In 2011 alone Ravi was an Officer in YPEG, WTS-OC, a Chair in the HDR Pathfinders Committee, and Vice President of OC YMF. With his involvement in the HDR YPEG group, he amongst the other chairs worked to create a quarterly newsletter, encourage licensure, hosting technical programs and professional development courses and providing mentorship to incoming younger engineering staff. At the student level, Ravi’s largest contribution was his involvement with the Chi Epsilon Job Fair where he was the chair during his final year. Ravi and his team of volunteers were able to gather over 50 companies to Cal Poly Pomona for their annual job fair. Ravi was responsible for the coordination of the entire event, volunteers and companies. The event was also a fundraiser for Chi Epsilon which the organization raised over $15,000. A majority of Ravi’s time is spent between ASCE and his career. He utilizes the community involvement of the ASCE group to capitalize on opportunities to give back to the Community. He has participated in several of the Community Outreach events organized by the ASCE Orange County Younger Member Forum. This dedication to ASCE and the community is an example of an individual who has dedicated much of his time to giving back and this commitment should not go unnoticed. 2009-2011 YPEG Chair: Ravi was also the chair of the Young Engineers Group (YPEG) in the HDR Irvine office. During this time he organized the Young Transportation Engineers in the office to discuss issues relevant to them. The group also hosted several professional development courses, technical presentations, produced a newsletter, and guided young engineers to passing their PE. 2008 Office TSO Committee Member: During Ravi’s involvement in the HDR Riverside TSO Committee he volunteered for a number of events such as; Keep Riverside Clean and Beautiful, and the American Heart Association Heart Walk. To Ravi, volunteering is a way to develop his career, while fostering the development of his colleagues’ careers both in the office and other young professionals in industry. Ravi is passionate about volunteering because: “it gives something back to our profession; it helps pave the way for future leaders”. Because Ravi’s involvement in engineering organizations is inherently to benefit the next generation and support the engineering industry it’s easy for him to rally support from his peers in ASCE who are from HDR, other consulting firms as well as public agencies. One thing Ravi has said that is important in our industry is: Exposing younger generations to the Civil Engineering field and its importance. Ultimately, the future generations are our future and will always continue to be. It is important for our industry to continue to educate the general public (young and old) on the importance of infrastructure and the positive impact that the civil engineering field makes on everyone’s lives. Ravi has also participated in several fundraising events for various charities such as; the Boys and Girls club of Capistrano Valley, Dana Point 5th Marine Regiment Support Group, Family assistance ministries, Veterans of Foreign Wars, and Chrohn’s and Colitis Foundation of America. Ravi’s dedication to the industry is exceptional for any engineer to have accomplished. However, given that he’s only been in the industry a handful of years, it’s actually phenomenal. Ravi Shah has consistently demonstrated his commitment to ASCE ever since he first stepped into a Younger Member Forum meeting several years ago. Since then, Ravi has exceeded the expectations of his fellow ASCE members and has continued to maintain his ongoing dedication to the Society, while also maintaining a balance with his work commitments at HDR and personal life. Without a doubt, Ravi has acquired leadership skills as he has progressed through in various positions within YMF – each time acquiring larger and more important responsibilities. As the 2012-2013 President of ASCE OC YMF he led an amazing growth for the LA Centennial and 60th Anniversary. He led a fresh group of young engineers to host and/or participate in 95 events, increase the diversity of these events, bring the university students and professionals closer together, increase the active membership of younger members in OC, and become one of the 2014 New Faces of Engineering. None of the great accomplishments of the 2012-2013 year would have been as possible without his leadership, dedication, and passion. Ravi has been a phenomenal mentor to many of the board members. Ravi has dedicated his time to meet individually with board members on a regular basis to help them advance in their respective careers. Ravi has proven to be able to identify the set of skills inherent to each of his team members and has offered them all a specific path to develop their leadership, communication, problem-solving, and networking skills. An excellent communicator, Mr. Shah inspires many individuals to learn by his side. As Design Engineer become Assistant Project Manager of C-Street, he became the “heart and soul” of the project. Ravi took it upon himself to become the champion for this project where he was recognized not only by his co-workers, but his supervisors, and more importantly the client. Wherever Ravi puts his dedication, everyone involved thrives as a part of it. From his project work to ASCE, and even beyond, his impact on our industry is great for any engineer, but phenomenal for a young engineer. Thomas T. Kim, PEDon Hoppe, PEDoug Staley, PERavi Shah, PEMark Vukojevic, PEDavid Naish, PhDLacy KellyGary L. Miller, PEKenneth RosenfieldAndrew Easterling, EITSteven L. King, PESteven R. Marvin, PEJose G. Jimenez Jr.